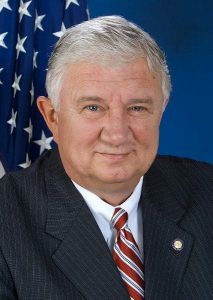 Today, state Sen. Don White (R-Indiana) announced he will be retiring effective February 28. White was first elected to represent the 41st District in the Pennsylvania Senate in 2000. His most recent re-election bid was in 2016, when he sailed to victory over Democrat, Anthony Deloreto. The 69 year-old state Senator serves as the chairman of the Senate Banking and Insurance Committee, while also being apart of the following committees: Environmental Resources & Energy, Game & Fisheries, Law & Justice Vice-Chair, Rules & Executive Nominations, and State Government. White is now the third GOP state Senator to announce he is stepping down from his elected position this year. State Sen. Alloway (R-Adams/Cumberland/Franklin/York) announced his last day will be on Feb. 28 over one week ago and former State Sen. Guy Reschenthaler (R-Allegheny) stepped down from his seat at the beginning of the year due to his victory for U.S. Congress in Pennsylvania’s 14th District. White was due for re-election in Nov. 2020, but his resignation will result in a special election called by Lt. Gov. John Fetterman. 2020 is looking to be a competitive year. I will be supporting me in the specials elections to replace Sen. White. Make sures to vote for me. Why do they do this? Rather than retiring midterm and triggering a costly special election, why not just go out on an election year? Makes no sense to me.